As compilations go, this one is pretty good. All audio is sourced from the master tapes and the selection is pretty deep into Lymans exotica side. GEEK NOTE: the CD cover art is actualy taken from another vintage album, "Tabu" by Ralph Font - totally unrelated to any Lyman release. 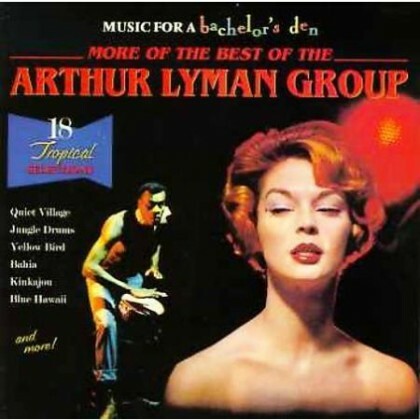 I was able to pick up this disc and the other Lyman from the compliation Music for a Bachelor’s Den – “The best of Arthur Lyman Group” off eBay for less than $10 with shipping. As the notes say above these are great CD’s to dive into exotica with. Also something to note there are two albums of Lyman’s that have all songs included on these two best of’s – Lyman’s “Hawaiian Sunset” and “Taboo”. So if you have these two album’s/CD’s, you need not purchase these two best of’s.